Escape the urban bustle at Safaris and Pyha-Luosto National Park. When in Rovaniemi, make a side trip to see Syote National Park in Syote, approximately 1h 55 min away. There's much more to do: take an in-depth tour of Arktikum, have fun at Santa Claus Office, get in on the family fun at SantaPark - the Home Cavern of Santa Claus, and Head underground at Syvasenvaara Fell. 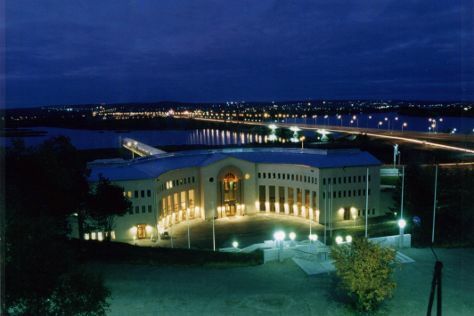 To find traveler tips, other places to visit, maps, and tourist information, read Rovaniemi day trip planner. In July, daytime highs in Rovaniemi are 22°C, while nighttime lows are 13°C. Finish your sightseeing early on the 11th (Thu) to allow enough time to travel back home.